Millennials will soon make up over half of the workforce. As the first generation to grow up with technology, they have high expectations for apps and low patience for anything that slows them down. To meet their needs, companies need modern, mobile tools that let employees do everything from booking travel to capturing receipts and managing reports right on their phone. 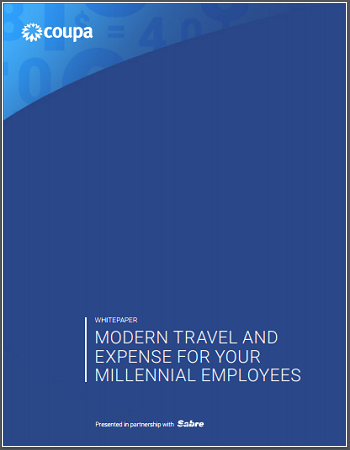 The key to keeping millennial employees happy is creating a flexible, seamless, mobile experience.